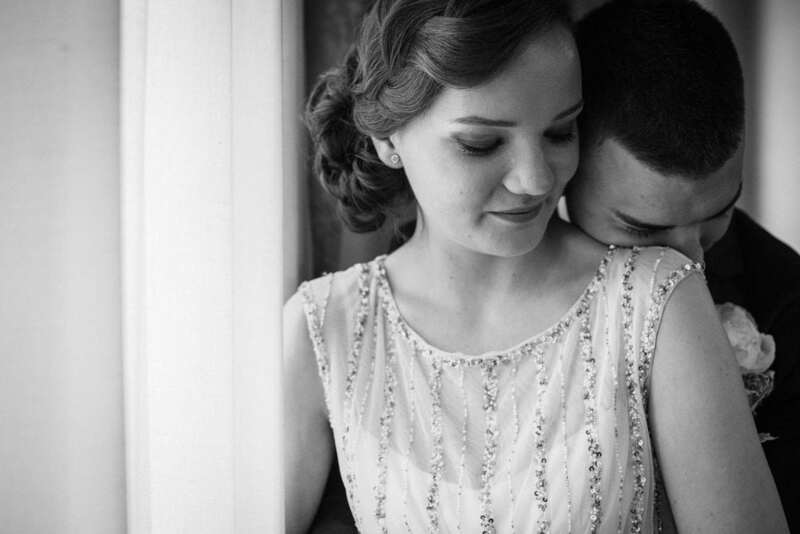 We love shooting and filming elopement weddings – they are so romantic and unique! 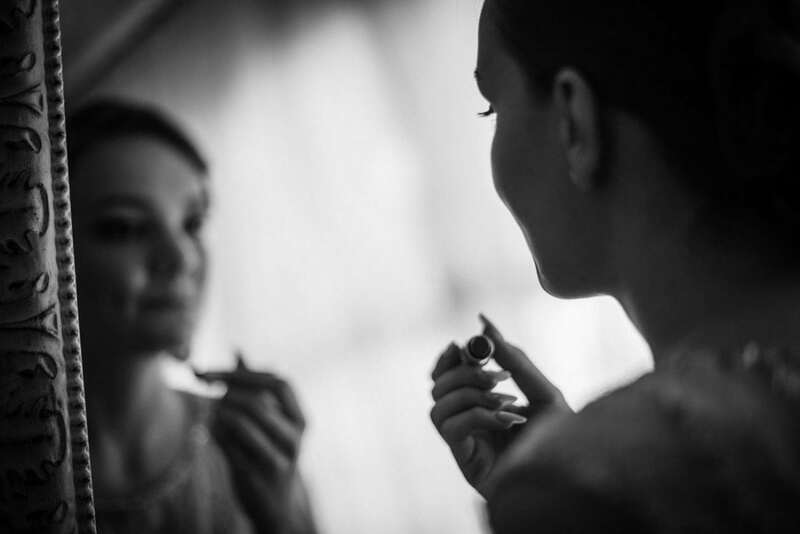 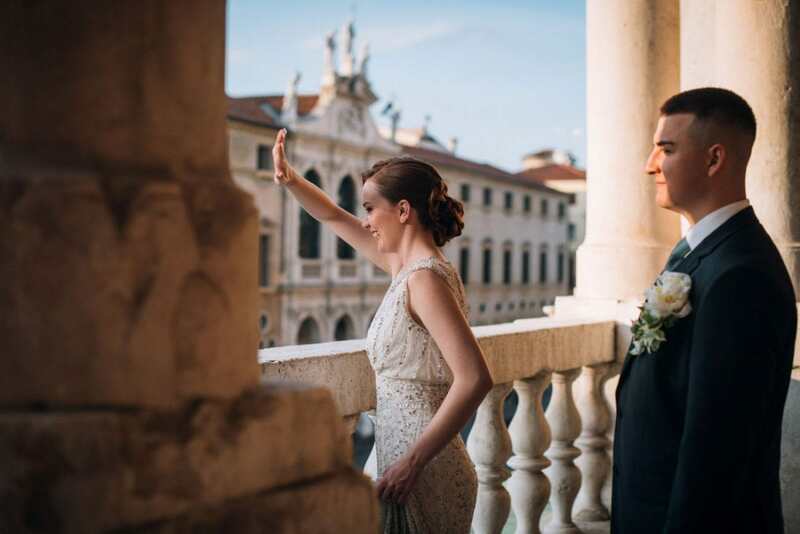 Aurora and Nick chose Vicenza, the city in which she was born, as the perfect location for their wedding. 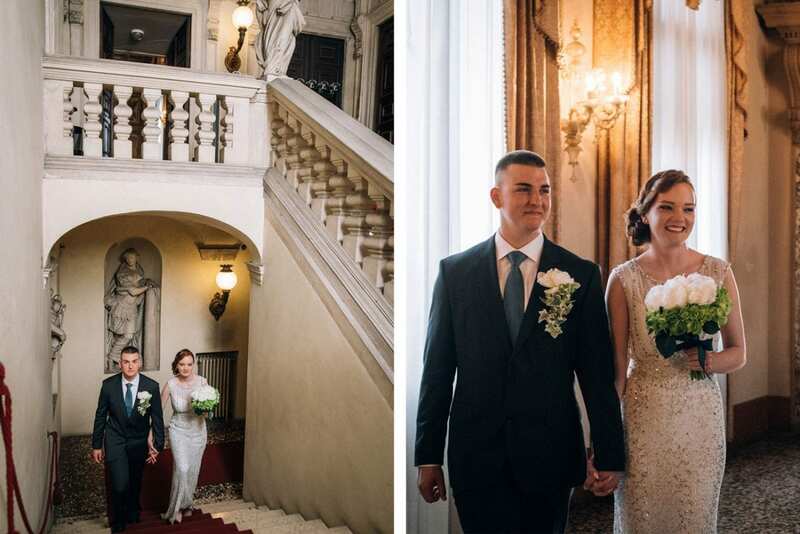 A romantic and intimate ceremony, just the couple and their closest relatives: a must see! 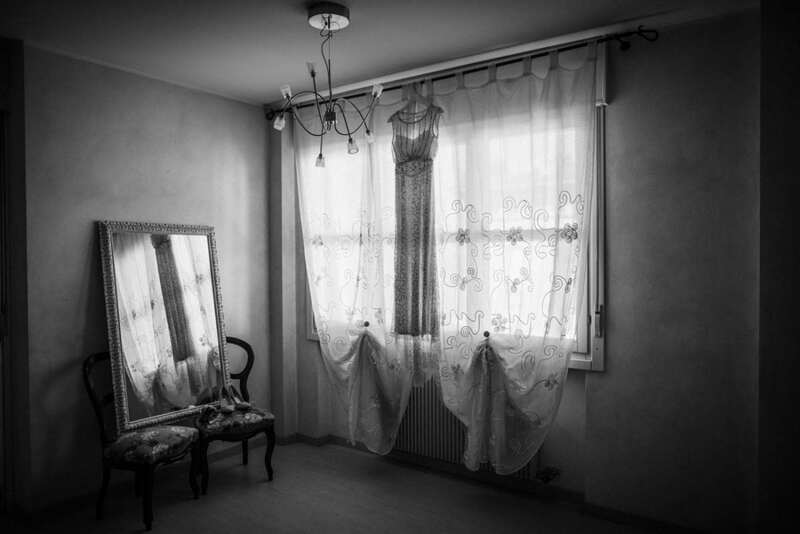 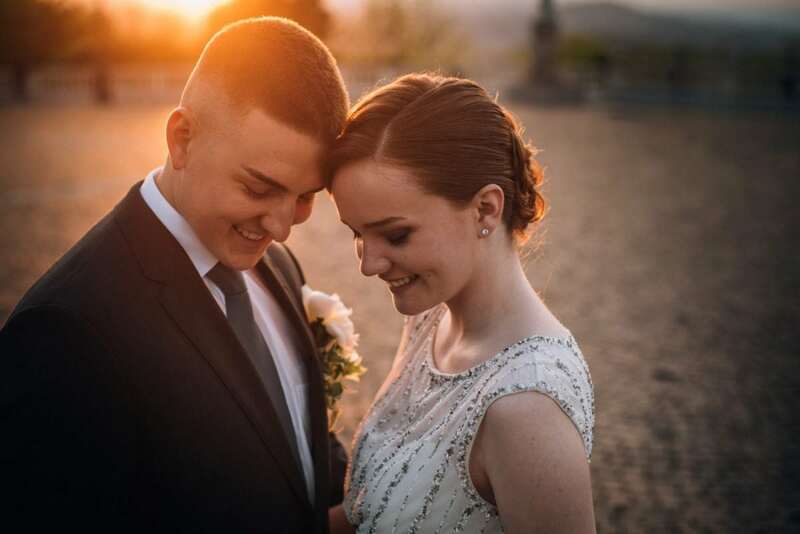 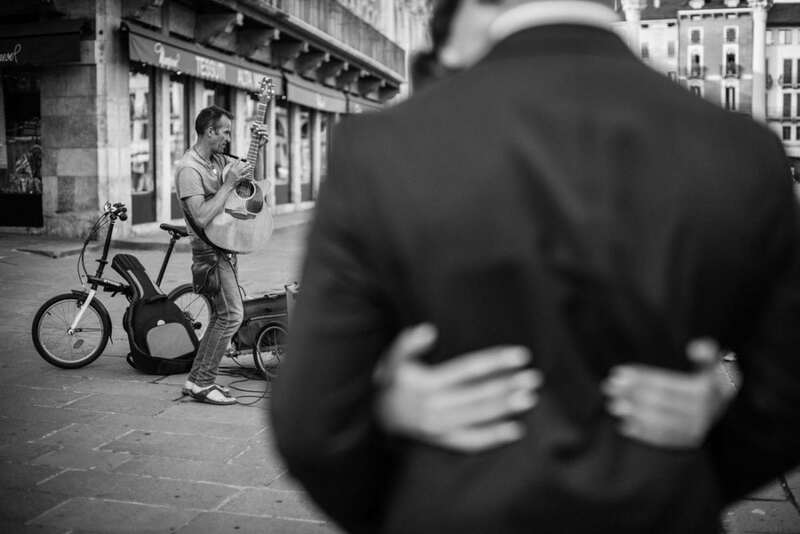 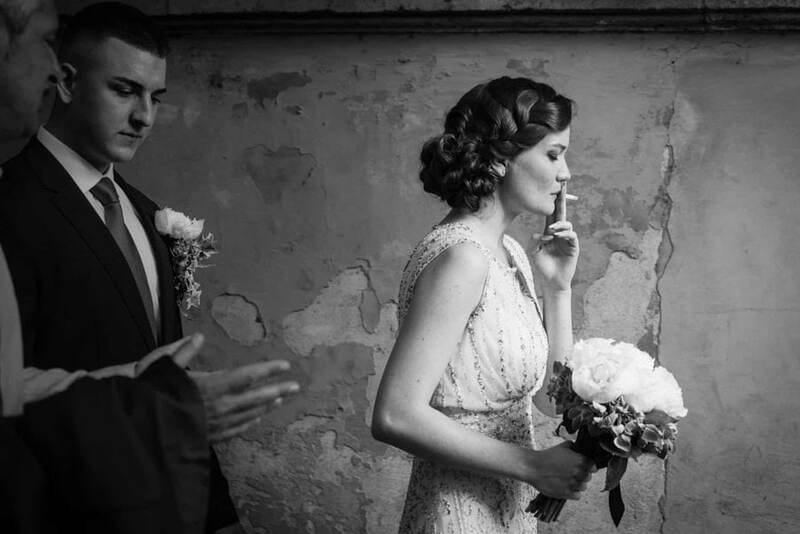 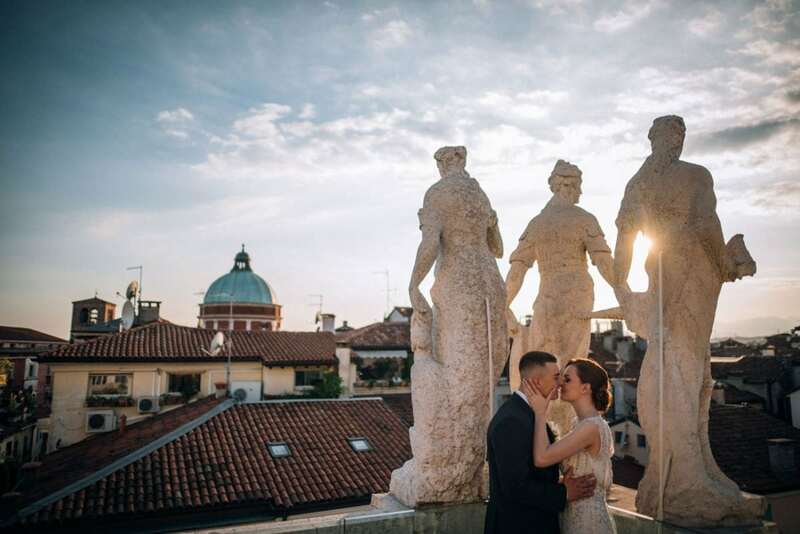 This lovely elopement takes place in an unusual city for foreigners to get married in, the city of Vicenza. 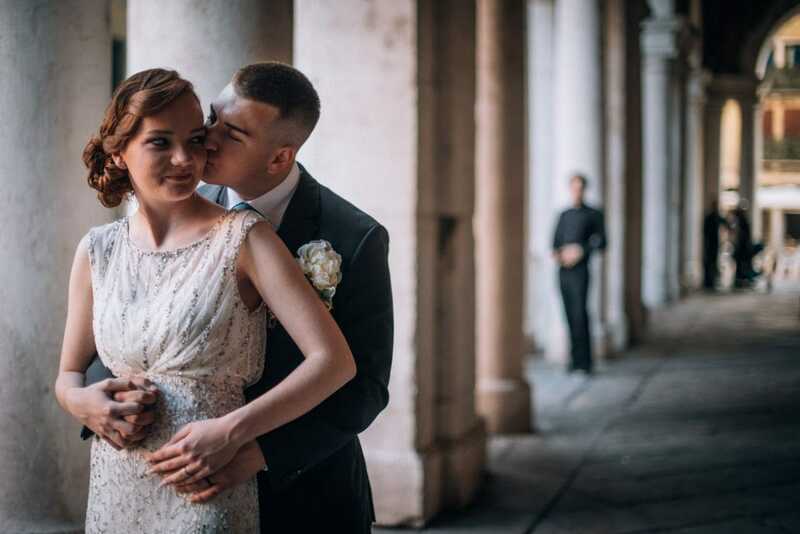 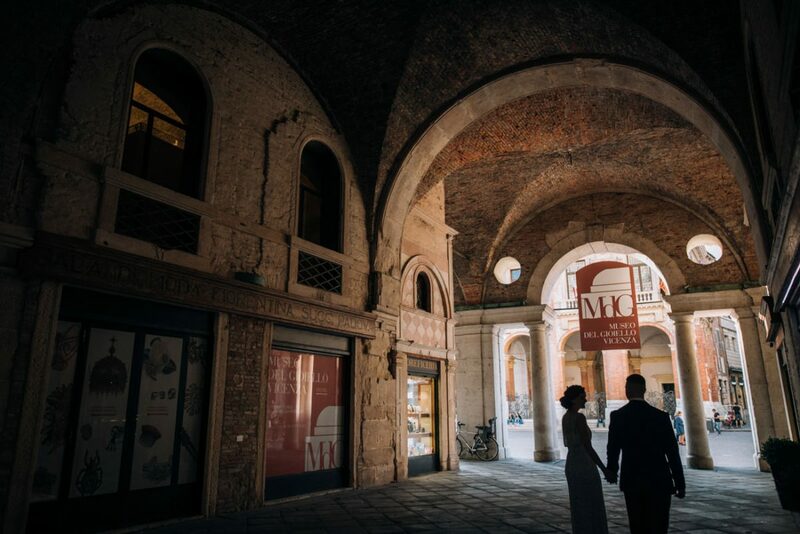 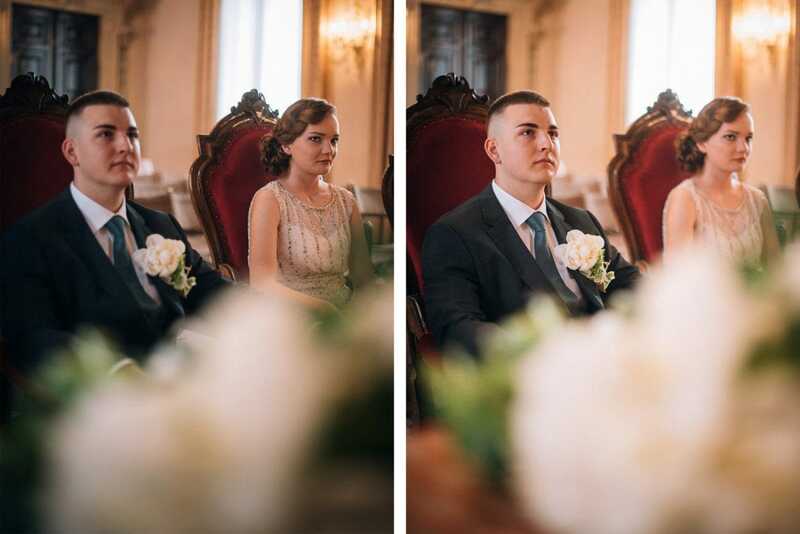 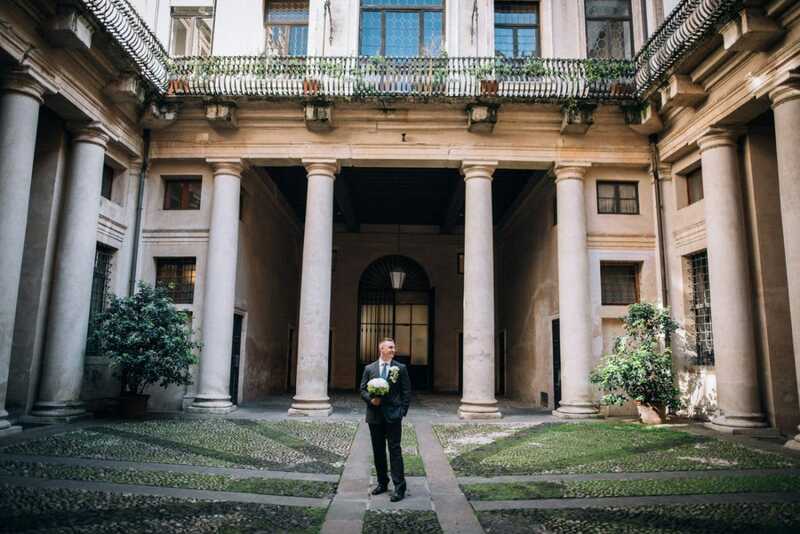 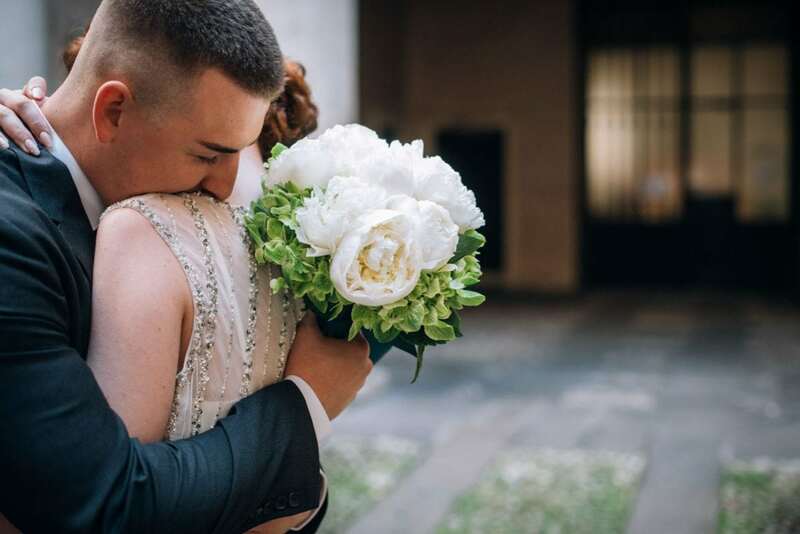 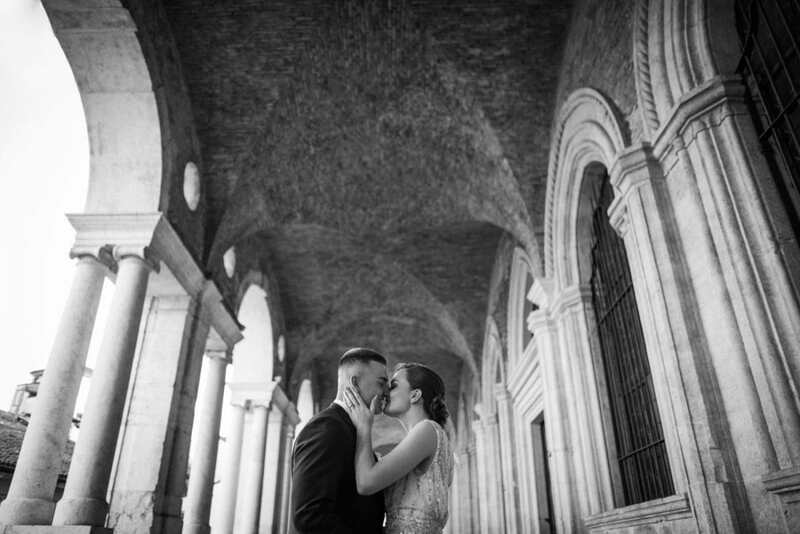 Vicenza is a wonderful, small city in Northern Italy, full of history and beautiful palaces – just look at Palazzo Trissino, where the civil ceremony was celebrated, or at the Basilica Palladiana, the main location of our couple shooting! 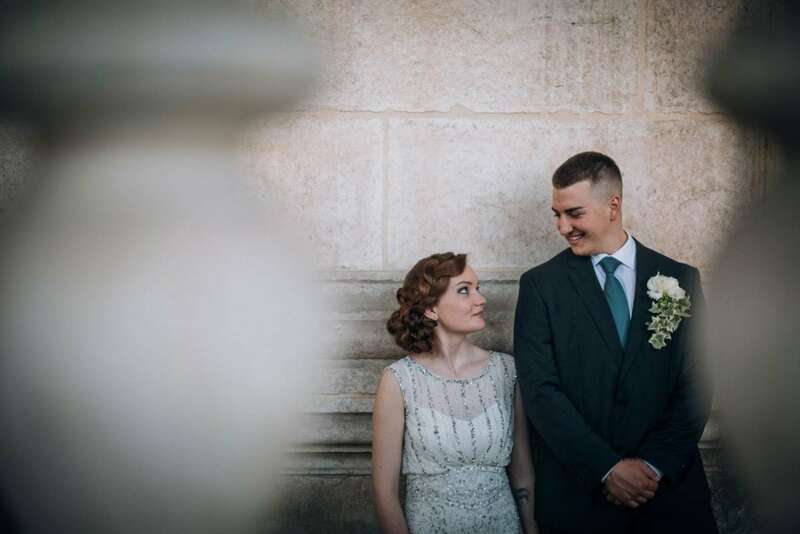 Aurora and Nick got ready separately at Aurora’s sister’s house. 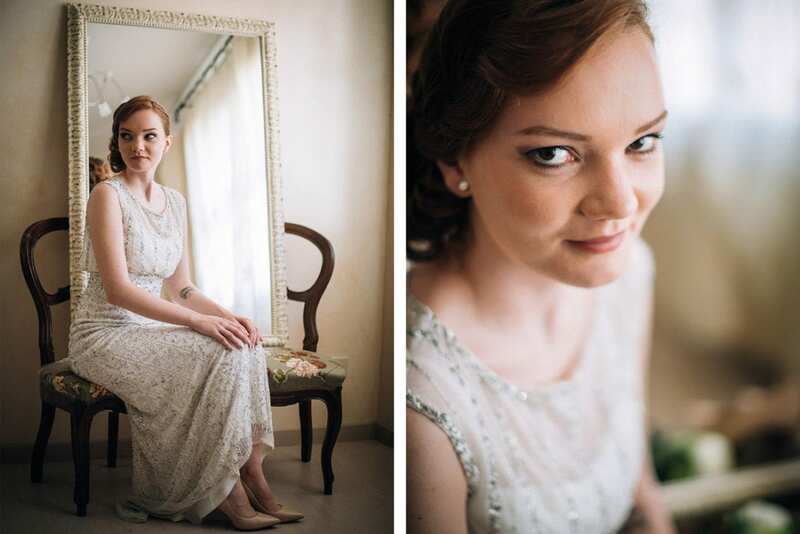 They set everything perfectly: a large framed mirror, a big window, and Aurora’s favorite pictures. 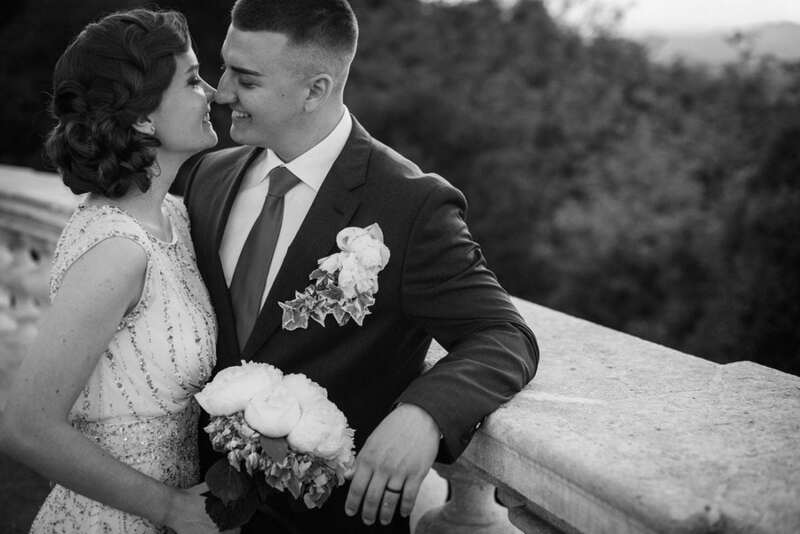 Nick got ready alone – looking at YouTube tutorials to knot his tie, and that was a really fun moment! 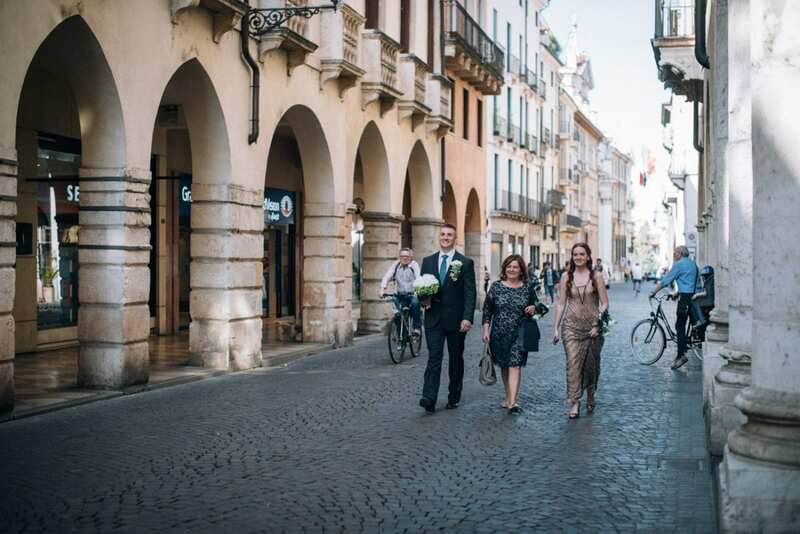 – then moved to the city center. 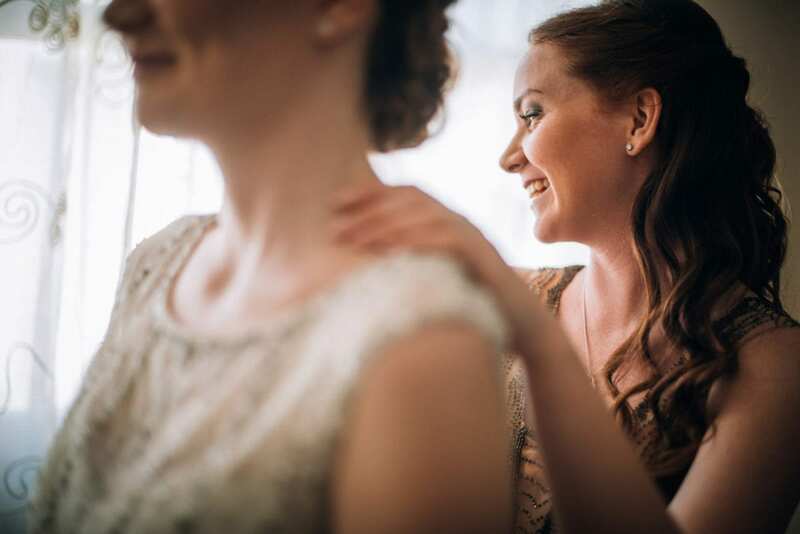 Aurora got ready together with her mom and her sister – her 30s-style hairdo and her wonderful wedding dress were simply amazing! 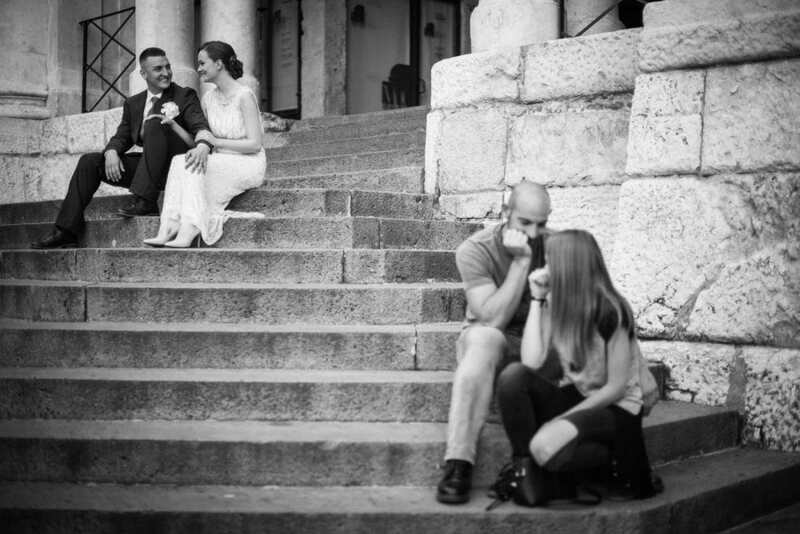 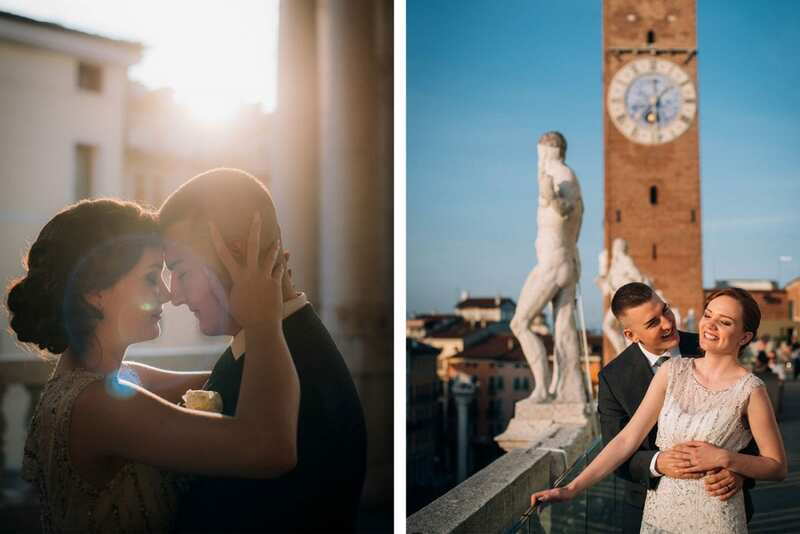 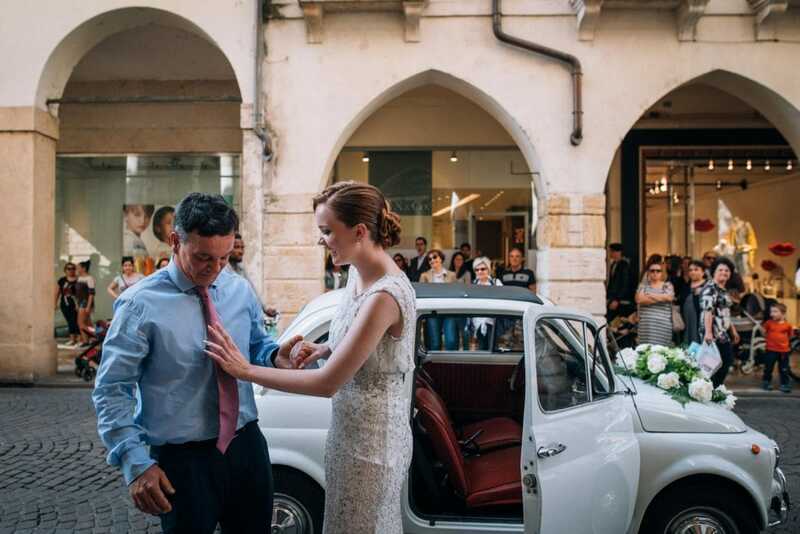 I loved this couple’s first look – they met in the square of Palazzo Trissino, and their excitement was just blowing! 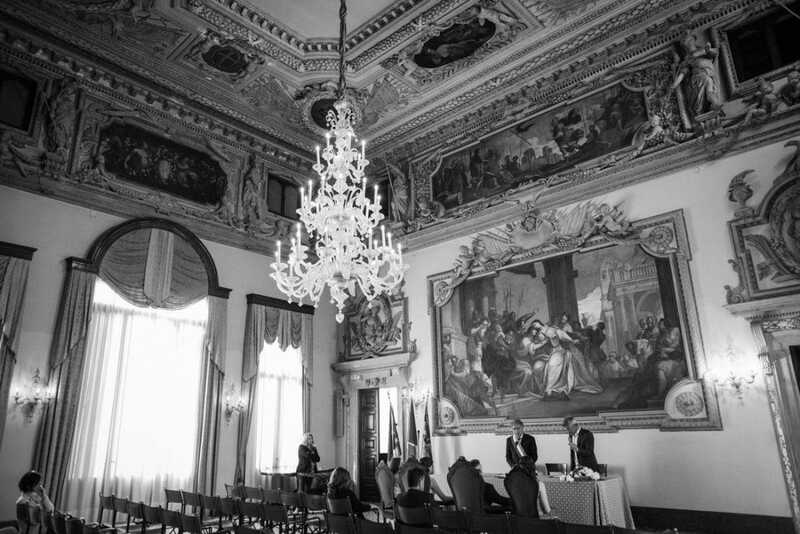 They had an intimate, romantic civil ceremony in the Sala degli Stucchi, the main hall of Palazzo Trissino. 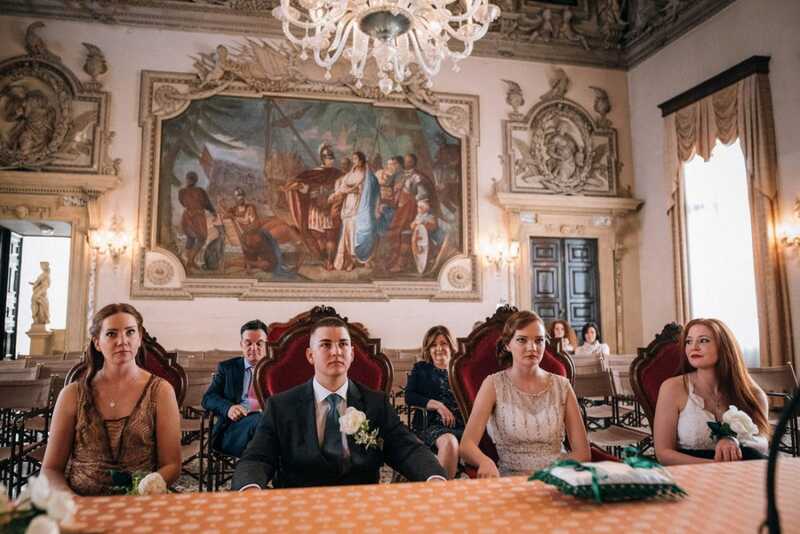 Nick’s family couldn’t make it to Italy, but they were there with them, somehow – or better, via Skype! 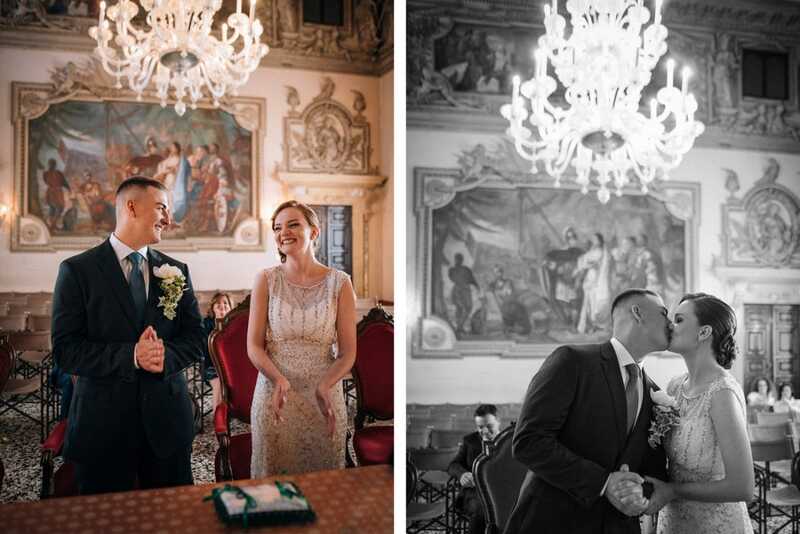 After the ceremony the wedding party had a small toast in a very nice bar in Piazza dei Signori, then we took some time for the wedding portrait session. 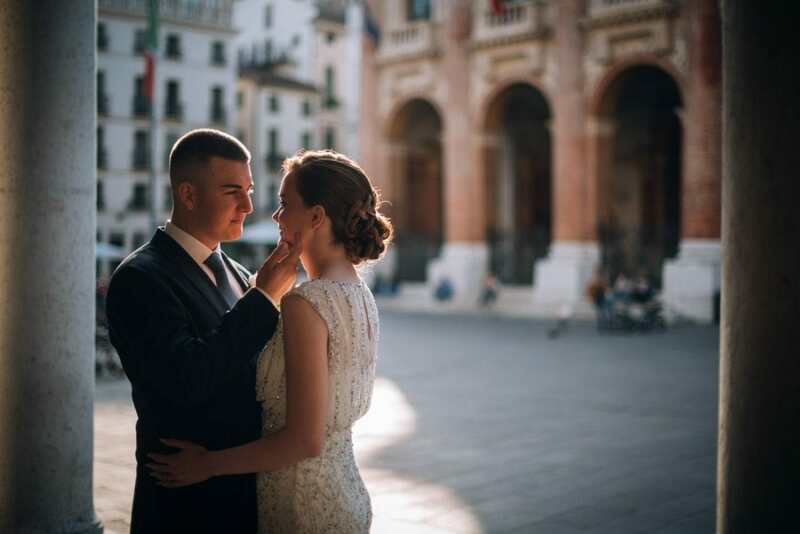 The light in Vicenza was just magical that day, and the Basilica Palladiana was the perfect frame for such a shooting! 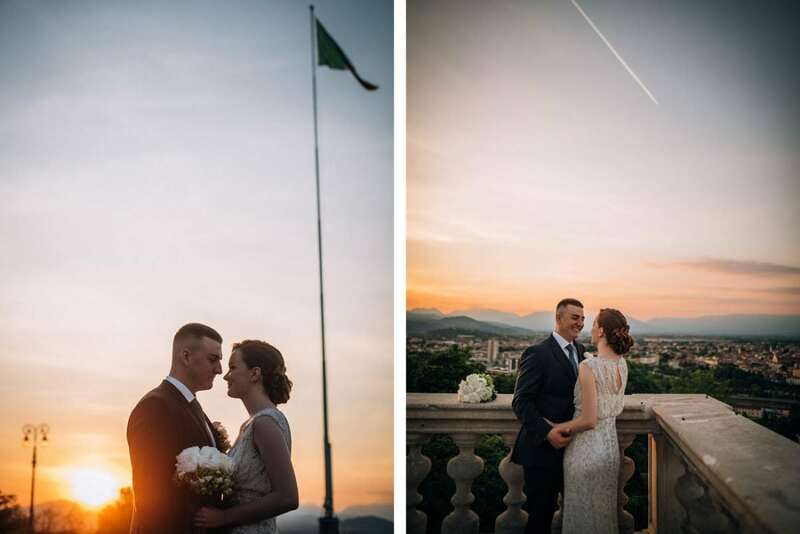 After having shot some photos in the city center, we ended the shooting in Monte Berico, the best view of the city.